A lot of the time people ask what is the best way to send files for printing. And there are few items that relate to this so we will try to address them one by one. Working with Photoshop we recommend using 16 bit at all times. It is easy to demonstrate that details are lost when you make adjustments to an 8 bit file in Photoshop. It is harder to prove that everyone can see the difference in the final print but we recommend that starting with the best information results in a better print. Even if you start with a JPG file, converting this to 16 bit in Photoshop will increase the quality of adjustments made to the file. In fact if the PSD is still layered you can convert to 16 bit after you have made all the changes because Photoshop re calculates all the layers. 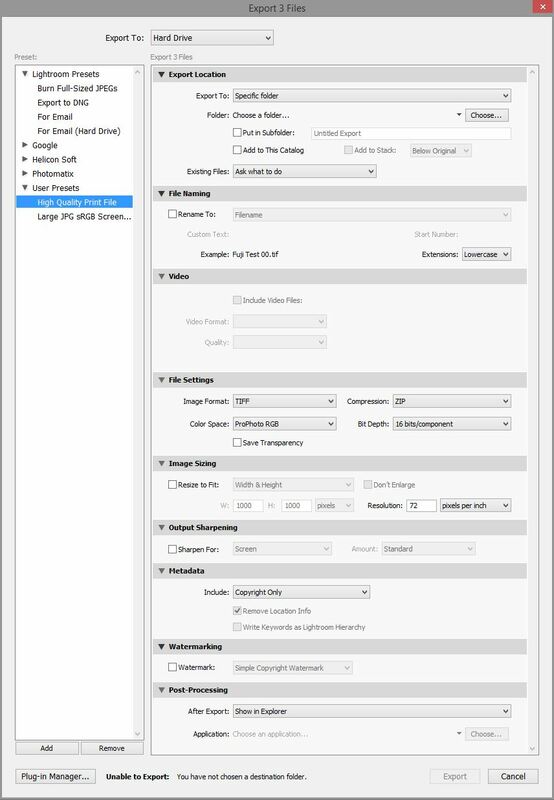 To change an existing file to 16 bit simple use the Photoshop menu “Image” then “Mode” and then click 16 bits/channel. (Note that 32 bits is entirely different and you should not use this unless you are doing HDR). But of course everyone is shooting RAW now right. RAW files offer the highest quality conversions for editing and provide a huge latitude for adjustment after the image is captured. Unless you are shooting high numbers of images say for weddings or sports and need to save disk space or conversion time shooting RAW is the way to go. So, to set up Camera Raw so that it opens your RAW files in 16 bit you need to configure it for each camera. 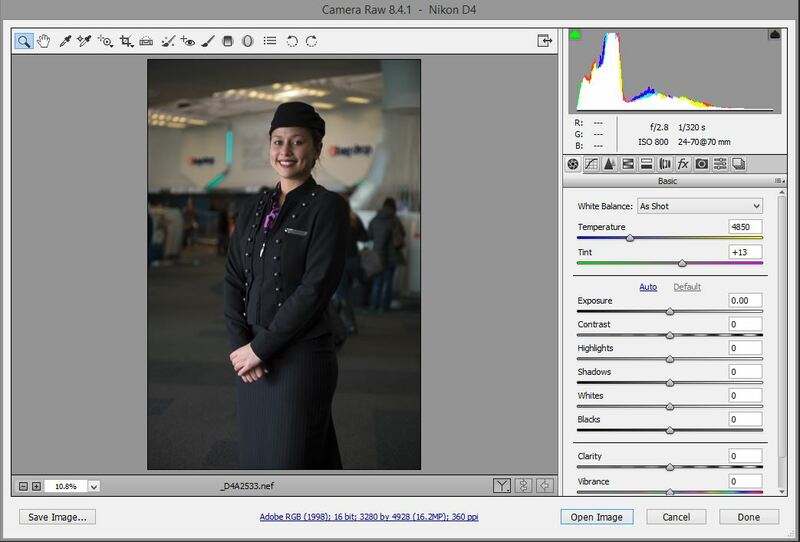 To do this simple open your RAW in Bridge or Photoshop so that the Camera Raw dialog appears. In these examples both AdobeRGB and ProPhoto RGB profiles are used. Either is fine, you are limited if you leave the profile as sRGB which has a smaller colour range. Clicking on this text will bring up the settings which you can configure for all RAW files for this camera. Adjust the settings to look like the ones below. Note that you will need to set this for each camera that you use as Camera Raw remembers them separately. If you use Lightroom you can export any file, including PSD files from within Lightroom and the settings below will work. If you don’t use Lightroom you will need to export a flattened TIFF file to upload to us. It is important so that you do not lose your precious layers and edits when you do this. 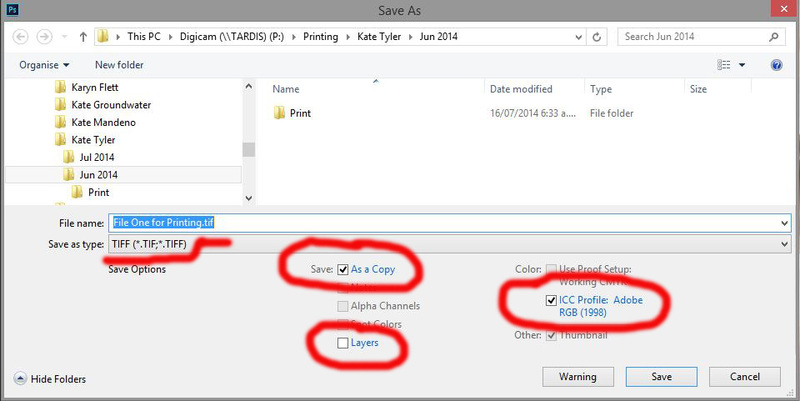 So if you have your Photoshop file currently open, save it to make sure your latest changes are saved. Or open up the file you wish make a copy of. The garish red markers show the items you need to change, or check are set correctly. UNCHECK the layers check box. This will flatten your image in this new copy to make the file smaller for upload. Change the name to something you understand and can relate back to the original file. You might say change “File1.psd” into “File1-Print.tif” for instance. For Lightroom we need to edit the preferences for sending files to Photoshop and for when we export images. For the Photoshop settings open Lightroom and using the menu select “Edit” and “Preferences”. Then click on the “External Editing” tab and set the values for ‘Edit in Photoshop’ like the image below. (Click to enlarge). Lastly we need an Export profile that creates a 16 bit TIFF file ready to upload. From the Library module select any image and press the export button. 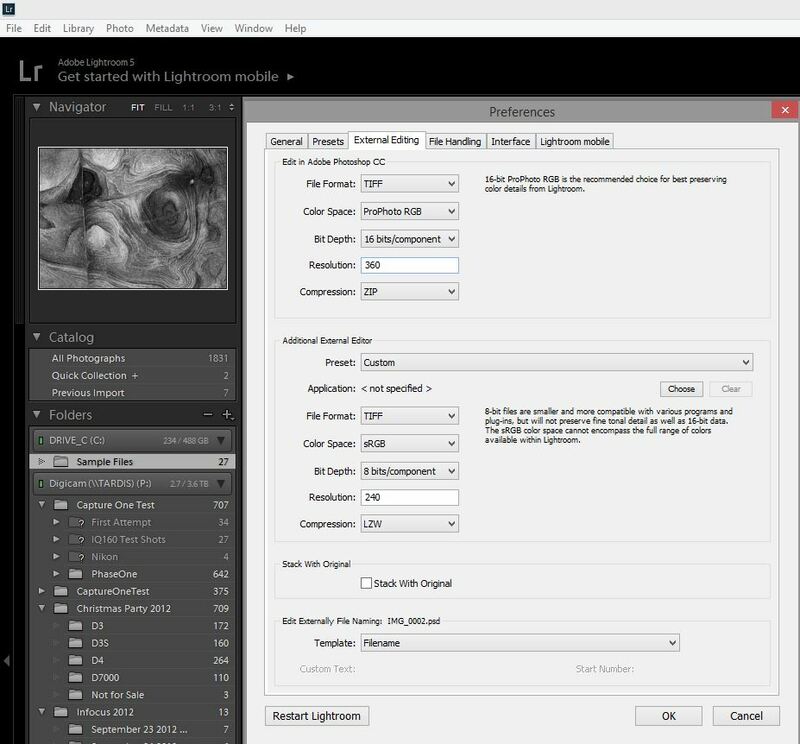 This will load the Lightroom export settings dialog. Carefully set all the values on right to match the image below. Once that is done you can click “Add” at the bottom left to create a preset so that the values are available quickly next time. 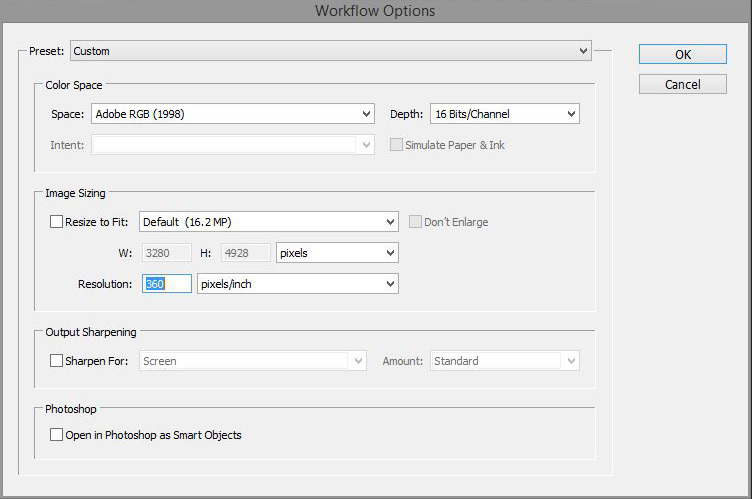 Once that is done you can export the image and upload it to Evoke for printing. You can send multiple files through our Hightail upload service. The link to this can be found on our upload page.